Highlights of Carabao Cup match between Wycombe and Fulham. 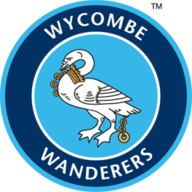 Lucas Piazon scored one and set up the other as Fulham booked their place in the second round of the Carabao Cup with a 2-0 win at Wycombe Wanderers on Tuesday. It is the second time in three seasons the Cottagers have won at Adams Park at this stage of the competition and, in truth, the Championship side controlled the game. 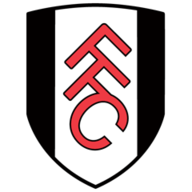 Fulham had the game's first opening in the eighth minute when Wycombe goalkeeper Scott Brown did well to push away Denis Odoi's near-post header from Matt O'Riley's corner. Cauley Woodrow then shot into the side netting after getting on the end of a long ball before Brown denied Odoi for a second time when he parried his effort wide. The visitors continued to probe away in a goalless first half, with Brown clawing away Aboubakar Kamara's cross with Woodrow closing in and Adam El-Abd denying O'Riley on the rebound. Less than two minutes into the second half, Odoi cut the ball back from the left only for Woodrow to scuff wastefully wide from close range. But the Cottagers deservedly went ahead after 67 minutes when Piazon was given time to set his sights and sent a beauty from 25 yards into the top corner. Nathan Tyson forced Marek Rodak into a save from a tight angle as Wycombe looked to force extra time. But Fulham sealed the game with nine minutes left when the impressive Odoi won another header at the near post from Piazon's corner and this time it crept in.